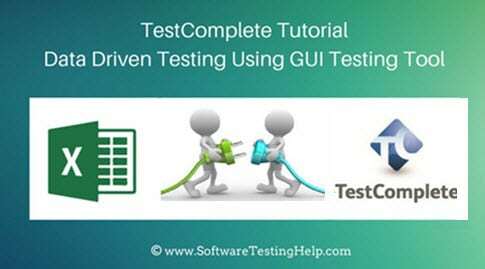 In last two TestComplete tutorials we saw the TestComplete introduction and Data Driven Testing using TestComplete. In this tutorial, let us continue learning this tool with a new feature – how to automate Android Applications. In this modern world, smartphones are playing a very important role in our day to day life. With frequent updates in technologies and numerous devices available, it becomes a very hectic task for developers and testers to check their application’s compatibility. TestComplete is a UI as well as a functional automation tool. In our first article we have created simple Desktop and Web projects, recorded our test, played back and observed the results through Visual Analyzer. We have extended this functionality to both Desktop and Web-based Applications. In this tutorial, we will be covering Data Driven Testing using TestComeplete tool. JIRA with Katalon Studio was explained in detail in our previous tutorial. Although it’s been possible to integrate JIRA test cases with TestLodge and several of the more popular issue tracking tools for some time, the JIRA upgrade adds new levels of flexibility, streamlining and communication to the testing experience. For those who already use, and are familiar with JIRA, bringing TestLodge onboard to organize your JIRA test case needs will create a smoother and more efficient work practice. Scripting your first mobile automation test case can be quite confusing without a specialized tool or instruction. In this tutorial, we will show you how to speed up your automation project using Katalon Studio’s mobile recording utility and running your recorded test cases on hundreds of Kobiton’s mobile devices on a cloud. Today's tutorial is a hands-on review of Cross-Browser functional testing tool Parrot QA. This tool makes it easy to test your website without writing a line of code. This tutorial will walk you through the whole platform. We’ll start with the simplest way to set up a website test, then cover testing more complex functionality. You’ll find screenshots and an overview of both the QAmcorder (our Chrome extension for recording user flows) and of our mind map test management cloud app.